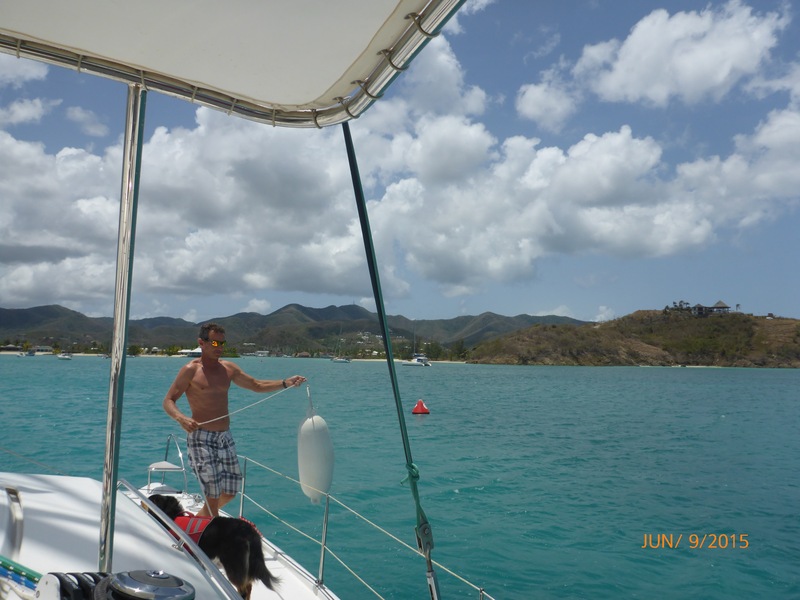 We left St. Barts about 5 pm and motor sailed about 15 hours to Jolly Harbour, Antigua. The sail was a bit bumpy as we had to go more into the wind and waves than we would have liked. 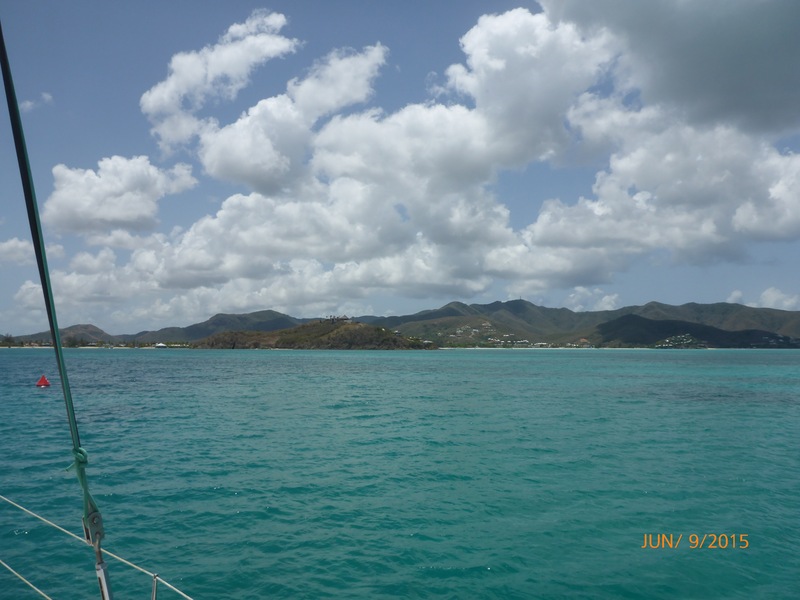 But the crossing was safely completed and entering Jolly Harbour was like arriving in a post card. Frank prepares the lines and bumpers. 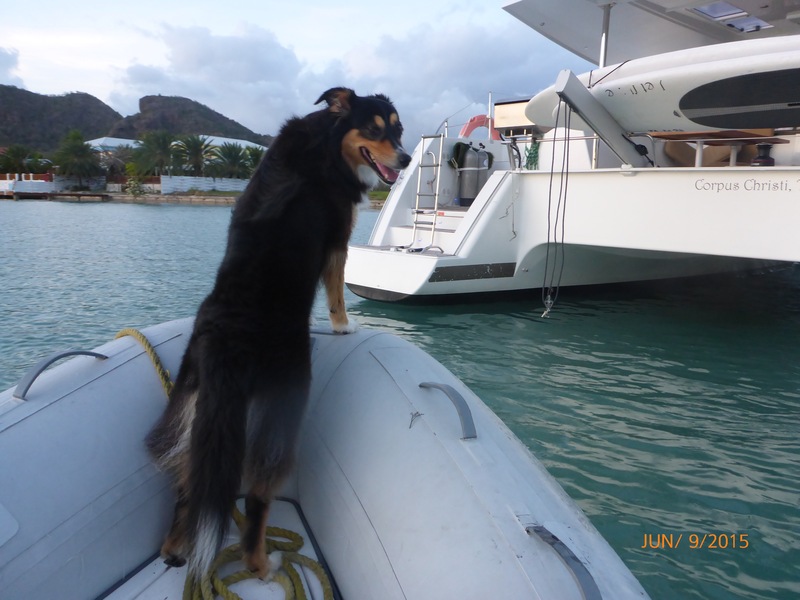 We were concerned about getting Captain registered into Antigua, but the veterinarian was very nice. Happily her paperwork was in order and Cap was quickly accepted. Jolly Harbour was beautiful and unique in that the harbor included a marina but also had a residential feel to it as houses with (large) boat docks lined much of the waterway. See the houses behind LIB? 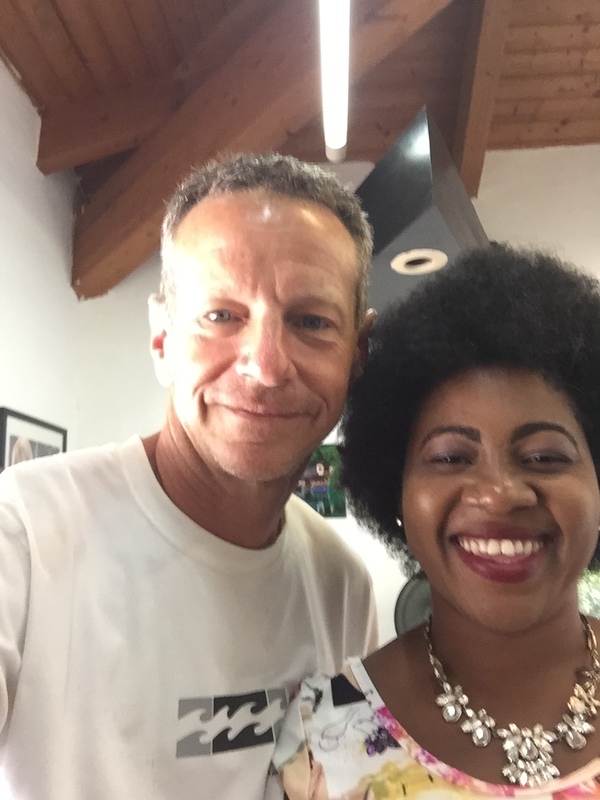 We took advantage of some local services available in Jolly Harbour including a haircut for Frank. Shamone and Frank, post haircut. 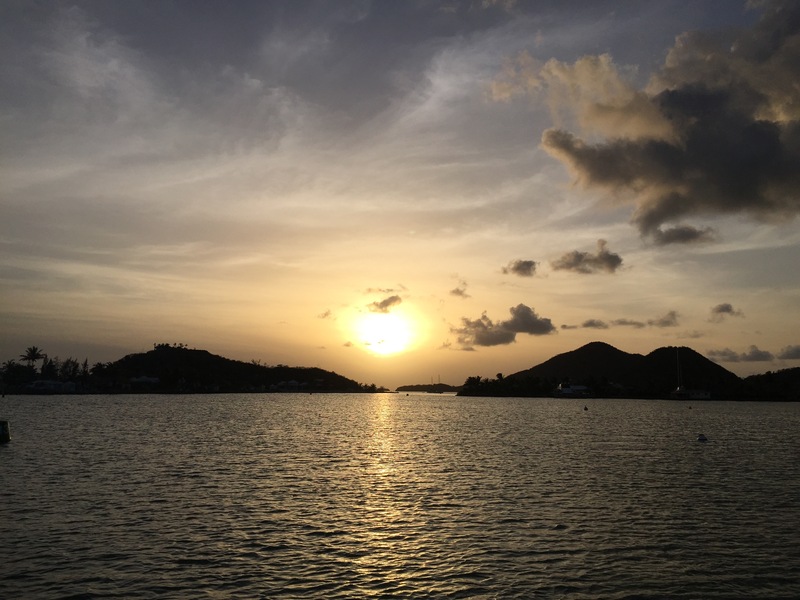 Antigua is 11 miles wide and 14 miles long; much larger than any other islands we have visited so far. Because of our limited time frame, we will only stay in Antigua about a week and we won’t have time to explore the interior. Instead we will stick to the bays and inlets along the shoreline. Jolly Harbour was a pleasant, calm anchorage which I welcomed after our bumpy crossing. 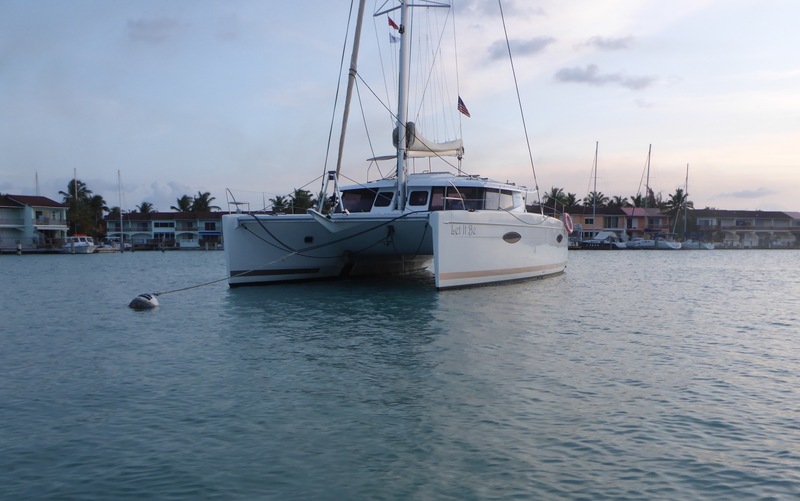 Posted on June 21, 2015, in Uncategorized and tagged Antigua, crossing, customs, Entry to Antigua, fountaine pajot, helia, immigration, Jolly Harbour, Let It Be, LIB, Pet paperwork, St. Barts, travel with a dog. Bookmark the permalink. 3 Comments. Thanks for sharing, Mary Grace! Wish we were following you on a boat of our own instead of just on your blog- but it’s a start. Safe travels! Thanks, Luke. We look forward to seeing y’all out here and meeting up in various places.